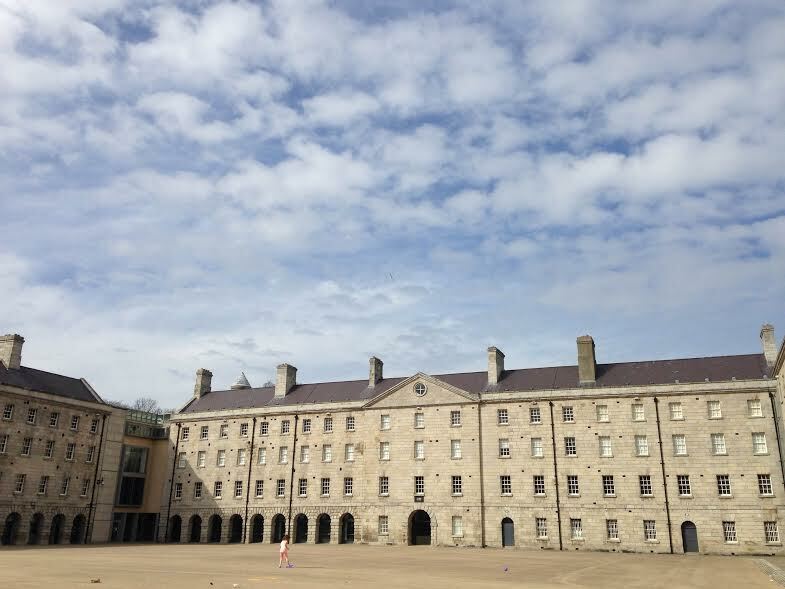 Dublin's most outstanding architectural feature is undoubtedly its five Georgian garden squares: St Stephen's Green, Merrion Sq and Fitzwilliam Sq on the south side of the city, and Mountjoy Sq and Parnell Sq on the north. Living in the south Dublin suburbs, I know St Stephen's Green and Merrion Sq fairly well, and have cycled past the smaller Fitzwilliam Sq a few times; but I'd never been to any of the north side squares, so on a break during a day's work in the city centre I decided to pay a visit to Mountjoy Sq. Sadly, these days O'Connell St is a very depressing place, full of (or at least, seemingly full of) fast food chains, casinos, and in the northern half of the street, derelict buildings. I feel especially sorry for the tourists who end up there having spent hundreds or even thousands of pounds to visit the city. 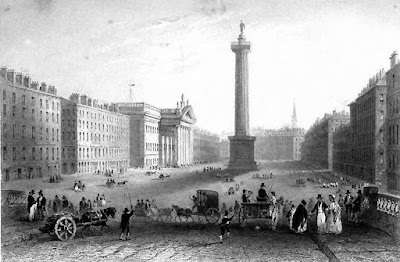 This square, which is now completely finished, is neat, simple and elegant, its situation elevated and healthy … the elevation of the houses, the breadth of the streets, so harmonize together, as to give pleasure to the eye of the spectator, and to add to the neatness, simplicity, and regularity every where visible, entitling this square to rank high among the finest in Europe. Mountjoy was killed fighting for the Crown against the United Irishmen at the Battle of New Ross during the Irish Rebellion of 1798. However his square persists, and has been an important part of Dublin - and Irish - life over the last two hundred years. 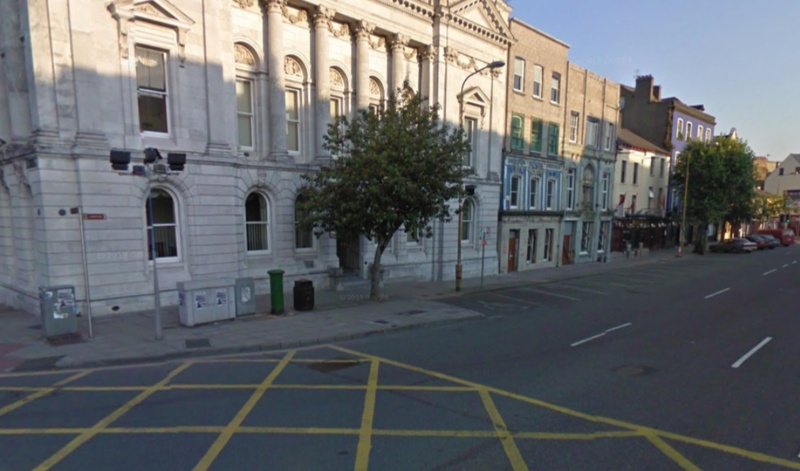 Famous past residents of the square include James Joyce, Sean O'Casey, and W B Yeats. And - somewhat ironically given Mountjoy's demise - some of the planning for the 1916 Easter Rising took place in the square. I suspect he wouldn't have been best pleased. 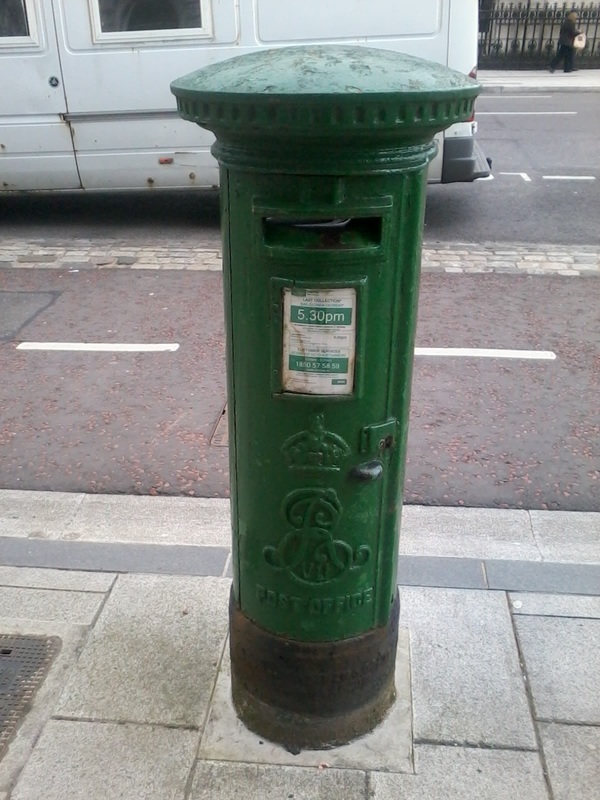 Here's a lovely E-VII-R situated on the corner of Parnell Place and South Mall in the heart of Cork City. The picture was taken at about 5pm (just before collection time) on a May afternoon in 2016, which would explain why the box is so full that you can see the most recent deposit peeping out through the aperture. 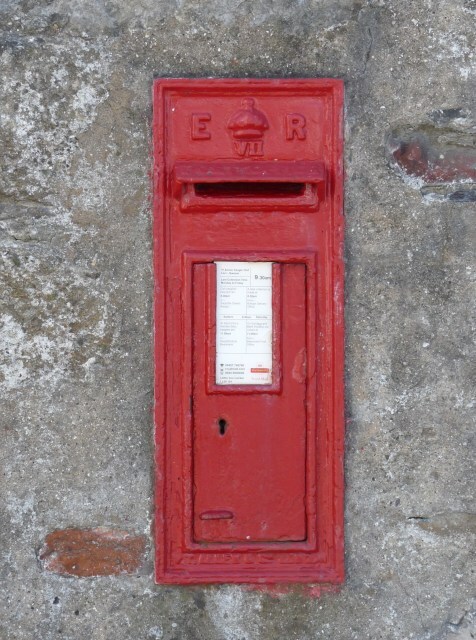 That just goes to show that even though the box is over a century old (Edward VII was king between 1901 and 1910), it's used now as much as it ever was. Less than a year later -- in September 2011 -- the electricity box has been cleaned up, but WHOAH! The bin has moved closer to the corner... where are you going? And now, finally, we see the current configuration as from September 2014. There's a new, additional, electricity box (presumably to control the more complex light sequence at the intersection) and the bin has vanished completely (along with the mature tree). 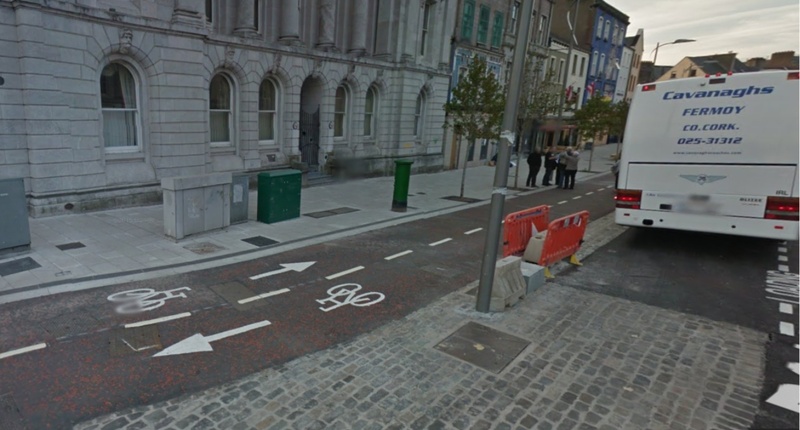 The postbox has moved closer to the road, presumably to facilitate ease of mailing by users of the new cycle lane, but it's still present, after over 100 years of use. After so many incremental changes at this intersection, I'm glad the powers that be kept the old box (even though they had to move it), rather than replacing it with one of those hideous new "box-on-a-stick" contraptions. Phew... time for a cup of tea and a lie-down in a darkened room. 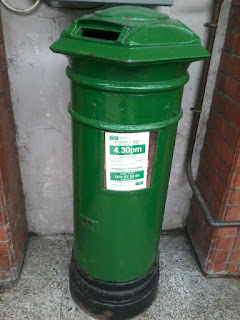 I spotted the pillar-box below while visiting my sister-in-law in Blackrock, Dublin, on the corner of Brookville Park and Springhill Avenue (googlemaps reference: https://goo.gl/maps/jAxrDVNsDSq). 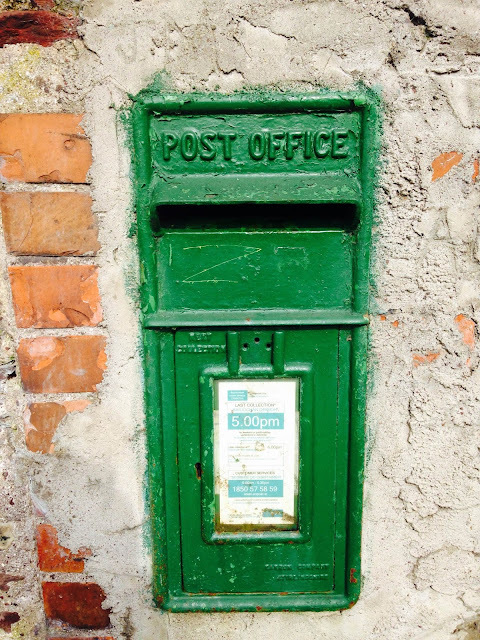 It was a cold November afternoon and the weak, wintery Irish sun was just setting, casting a lovely yellow glow on the rich green paint of the box. A dead fox lay on the side of the pavement close by, having clearly met his end under the wheels of a car. 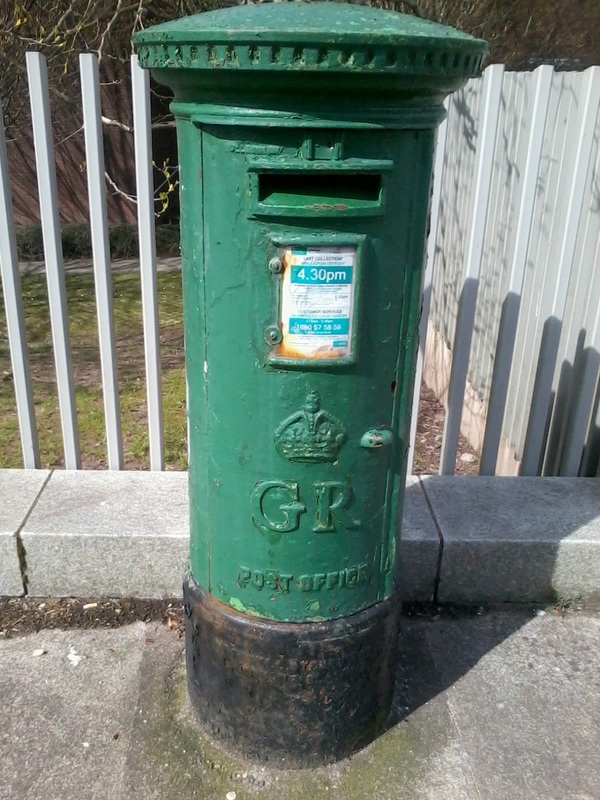 This looks to me like a Royal Mail box with the Royal Cypher removed - it reads 'POST OFFICE' rather than 'PℸT' (1922-1984) or 'An Post' (1984- present), and in overall design closely resembles the 'GR' (1910-22) pillar-box on St Patrick's Hill in Cork (see this earlier post). This makes me think that the box has been moved from somewhere else, as it is surrounded by modern residential housing. Or perhaps its surroundings have simply changed dramatically over the past hundred-or-so years. In any case, it's tucked away in a residential side-street, but is in very good condition (missing Cypher notwithstanding) - an elegant suburban box. The box is a recent 'An Post' (pronounced 'un pust') box, probably dating from the 1980s (An Post was established in 1984, replacing the Department for Posts and Telegraphs) and no later than the mid-90s, when cast-iron pillar boxes such as the above were replaced by the horror-show that is the modern green box on a steel pole (you may not have noticed these due to their resemblance to electricity boxes). An interesting feature of this box is that it has been vandalised - the 'An Post' logo under the window on the door has been ripped off, leaving a rusty scar. 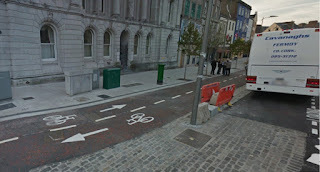 You can see the pre-vandalised box here. The church in the background is St. Luke's (C of I), which was designed by Hill and consecrated in 1889, and then deconsecrated in 2003, when it became a music venue and cultural centre. 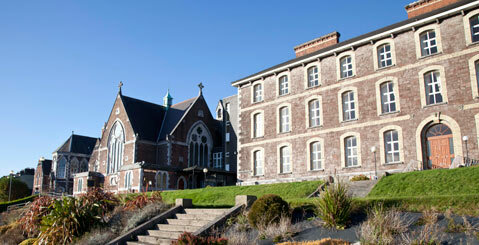 (The parish migrated to Cork's famous St. Anne's church in Shandon, known locally simply as 'Shandon'). See here for more info. I've even roped in my daughter, who takes great delight in spotting 'Tongue and Target' manhole covers whenever we go out for a walk. If time permits, I'm going to try to find out where in Dublin they were based, and get some photos of the foundry itself. Watch this space! 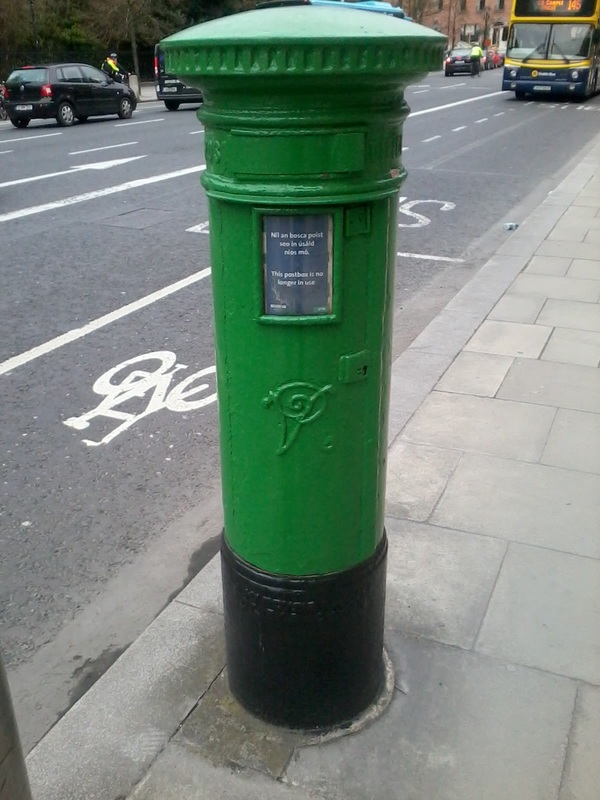 As part of this year's commemoration of the 1916 Easter Rising, An Post painted ten postboxes red in various locations around Dublin (see here for the news story). This is to remind us what they would have looked like in 1916, prior to Ireland's independence; it's especially poignant since although the dynamic bustle of the city constantly changes around them, many postboxes have remained in their location -- like trusty but silent witnesses of the unfolding history -- for over a century. Not only is it quite striking to see red postboxes dotted around the capital (even for someone like me with partial red-green colour-blindness), but it's also a neat reminder of how much difference a coat of paint makes. On my recent trip to Dublin, I was fortunate enough to spot one of these commemorative boxes at the bottom of Grafton Street, just outside the famous Peterson tobacconist. 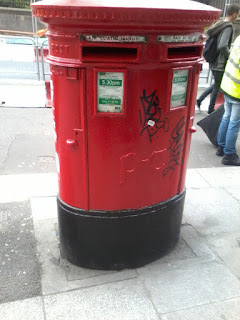 But I was disappointed to see that it is not, in fact, a former Royal Mail postbox; as you can see, it displays the "P¬T" cypher, representing Ireland's Ministry of Post and Telegraphs (mercifully with the same acronym as Gaeilge -- Aire Puist agus Telegrafa). But that ministry wasn't established until 1924, after Irish independence. 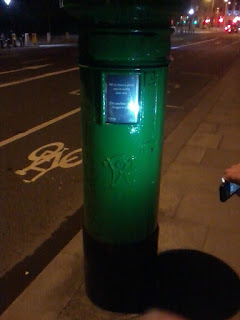 So this postbox couldn't have been here in 1916, and wouldn't have ever been red. Perhaps that's why a couple of disdainful taggers left their own cypher on it; their sense of history compelled them to mark out the potential for incoherent postings. Montenotte - the 'Night Mountain' - is a suburb of Cork City located on the north-east bank of the River Lee. The suburb is situated on a steep hill overlooking the river, and affords very fine views of the port, the city, and the southern slope of the Lee Valley. 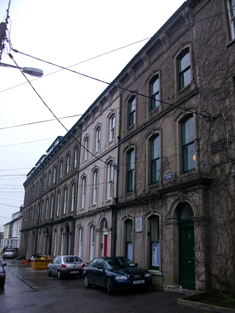 The suburb was first developed in the 17th century by Italian and Dutch merchants who had grown wealthy through trade in Cork's then bustling international port, and wanted to avoid the stench and squalor of the inner city (as well as keep an eye on their ships as they sailed into the port!). 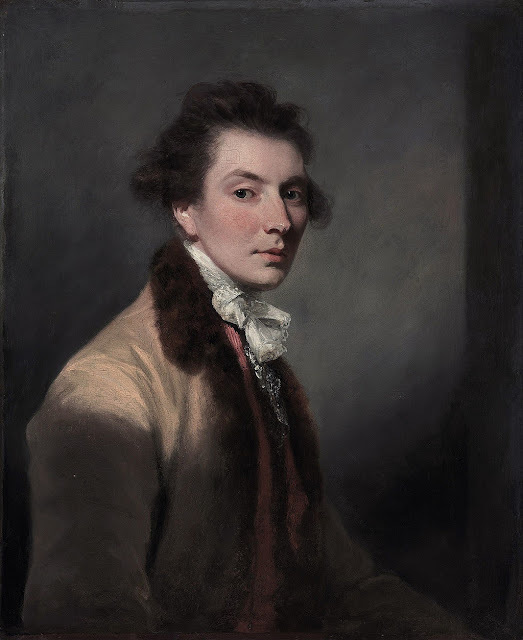 The area remained an attractive prospect for wealthy Corkonians throughout the 18th and 19th centuries, and many fine houses were built on, and into, the hill. Although not quite as desirable now as it once was - many impressive Georgian terraces have sadly fallen into disrepair or been brutally sub-divided into flats - the area still retains a considerable charm, consisting of large 18th and 19th century properties on narrow, winding roads that snake their way up the hill, leaving little room even for a single car. A very good way to approach the area on foot is to cross St Patrick's Bridge from St Patrick's Street and turn right onto Sidney Place from Bridge Street. 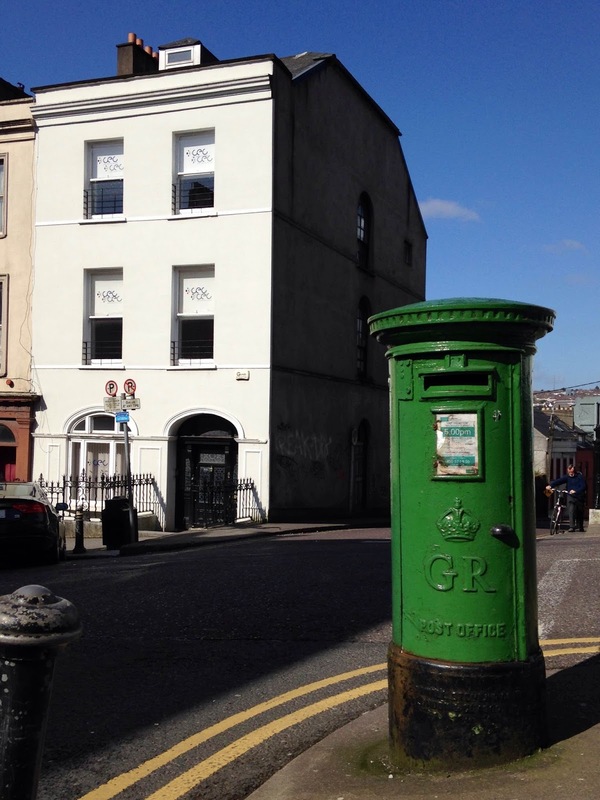 The long, gentle slope of Sidney Place and Wellington Terrace (itself a fascinating street, which deserves a post of its own) takes one to St Luke's Cross, the gateway to Montenotte proper (although technically a part of the larger area). After a quick drink in John Henchy & Sons charming pub, one can walk north up the Ballyhooly Road (incidentally, this blogger spent his earliest years near the village of Ballyhooly - again, a story for another time!) or east along the Middle Glanmire Road. 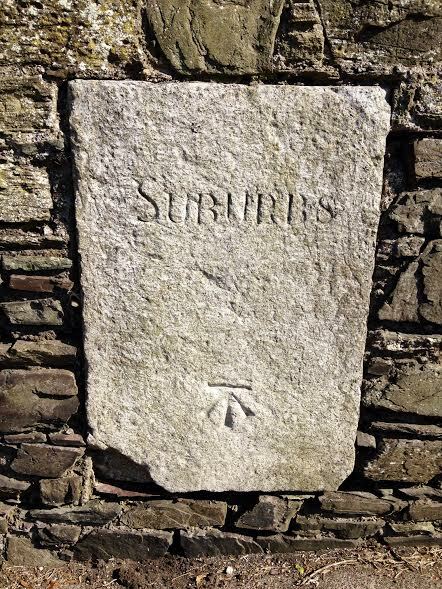 It is wonderful to see that this ancient stone has been preserved by being built into the wall here, although one does wonder - is its current location where it was originally placed, or has it moved over the years? The front may be cracked and the paint may be a little faded, but this Victorian postbox - made by W. T. Allen & Co of London between 1881 and 1890 - is still serving the residents of Montenotte over 120 years after its installation. Let's hope it continues to do so for another 120 years. I'm live-blogging this from the comfort of Irish Rail's Cork-Dublin train service (with free wi-fi) and unlike yesterday's post, I deliberately set out to photograph this beautiful specimen at Cork's Kent station. 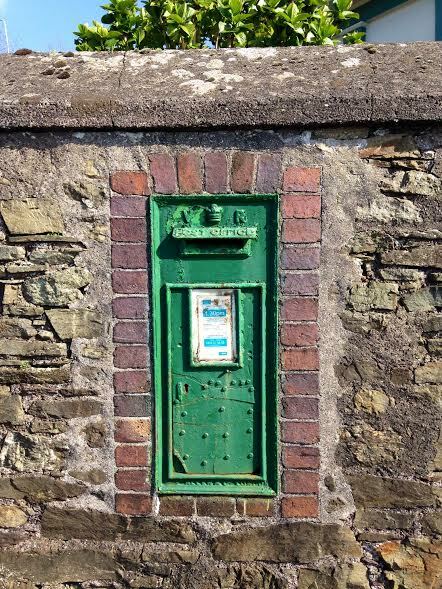 It is, apparently, the oldest example of a mailbox still in use in Ireland, dating from 1857. It's an "economy" type, since it lacks any decorative moldings or royal cypher, and it has the unusual feature of the aperture being set into the top. Since it's indoors, it's beautifully preserved, and still doing its job. 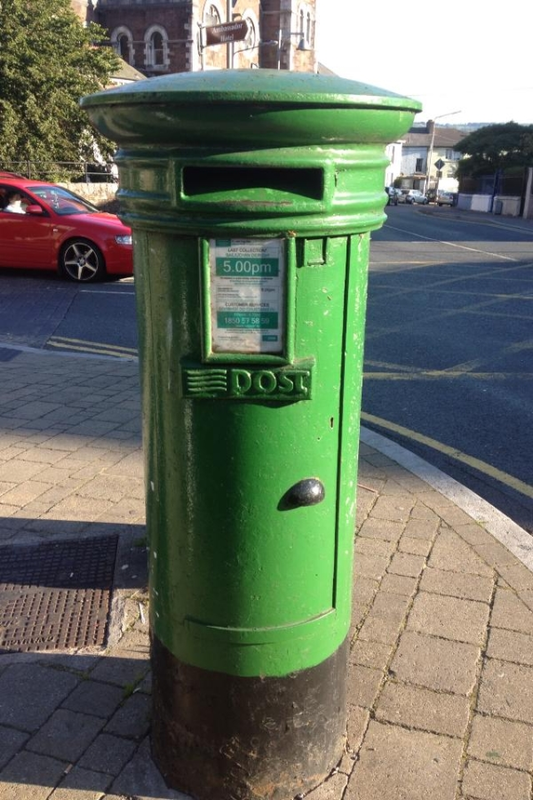 I'll be in Dublin by the next time the rail snail mail is collected. Here's a particularly impressive one from the intersection of College Road and Gaol Walk, right at the heart of University College Cork. It's a real whopper; nearly 6ft tall, and proudly encroaching onto the pavement so that it forces students to dance around it on the dash between classes. This one is more recent than those of previous postings; it's a GR, so it must have been installed between 1910 (when George V took the throne) and 1922 (following Irish independence when, naturally, they stopped installing "Royal Mail" boxes). 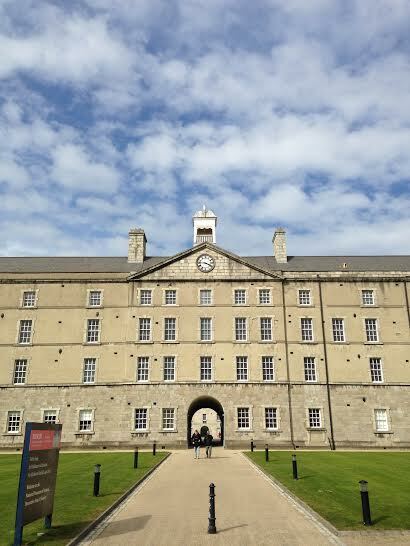 UCC was founded -- as "Queen's College Cork" -- in 1845 by Queen Victoria (George V's granny). So one wonders how the first students and staff sent their letters home (or manuscripts to academic journals) before this box's installation. It was the Queen's College, but they had to wait for the King's postbox. Here's yet another wall-embedded box from the south side of Cork City, this time part of the back wall of the South Infirmary on the Old Blackrock Road. 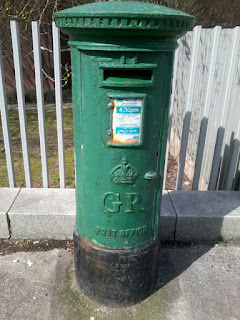 It's an ERVII; things must have been busy for the postal service in this neighbourhood between 1901 and 1910. Edward visited Ireland in 1903, but didn't come all the way down to the true capital. 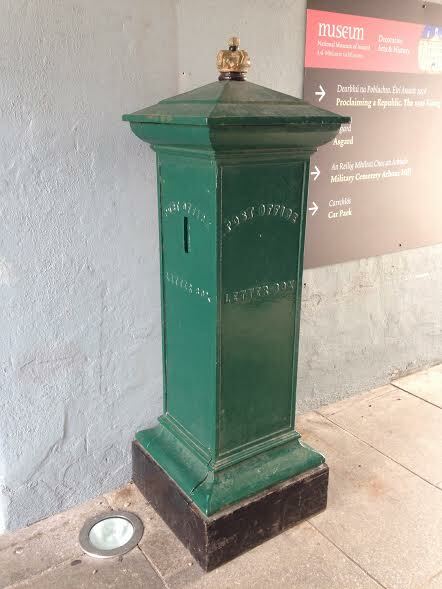 Even though the hospital is named after his mum (it's also known as the Victoria University hospital), it's Edward's box that allows you to send off your sick notes when you pop out the back for a crafty fag and a pint of Beamish in Paddy the Farmer's pub. A postbox with a house built on to the back of it. 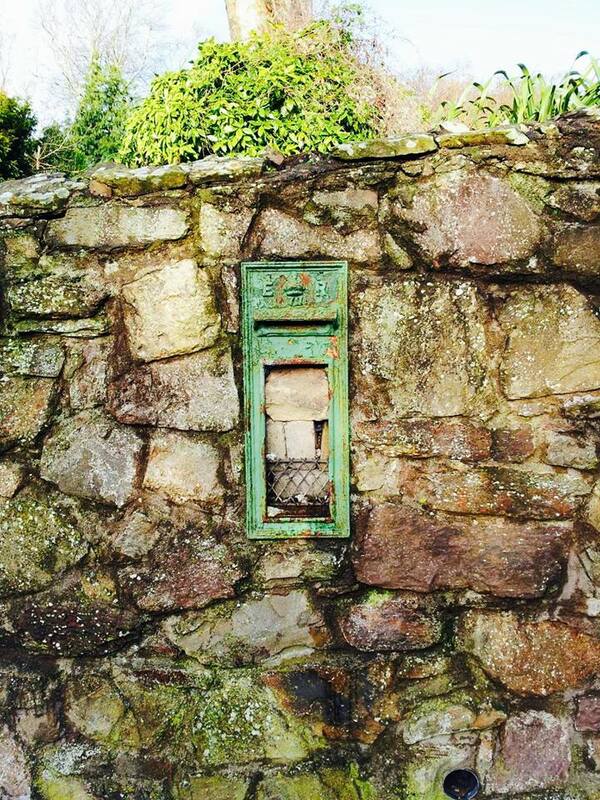 Here's a lovely wall-embedded ER to be found at the junction of Boreenmanna Road and Rockboro Avenue on the south side of Cork City. 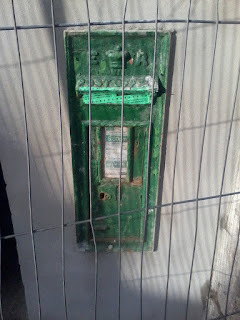 It's temporarily out-of-service, because there's a new house being built there, and the postbox is part of the wall. 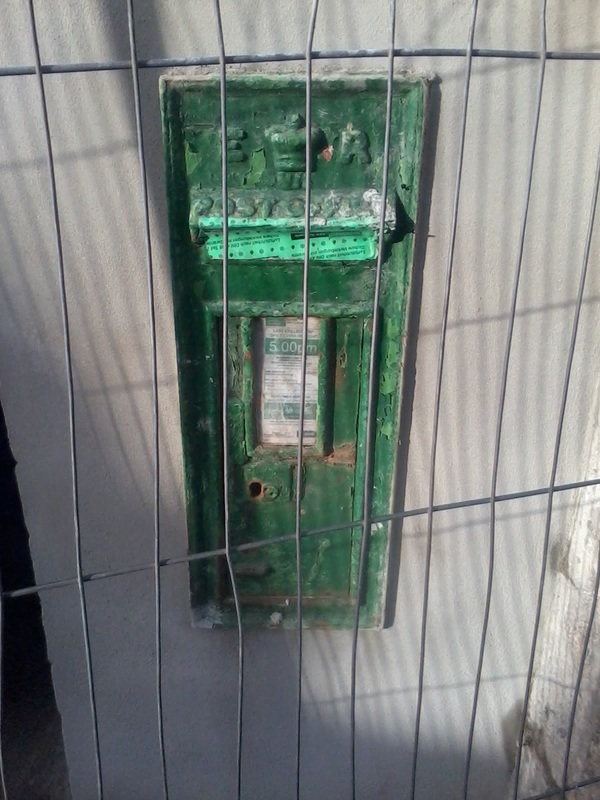 As you can see, however, the postbox has been preserved, and the new wall was effectively constructed and plastered around it. 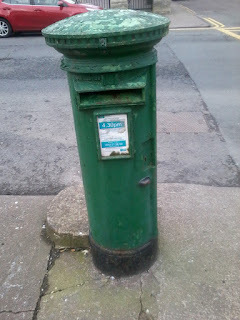 I love the fact that, temporally speaking, the postbox is primary. 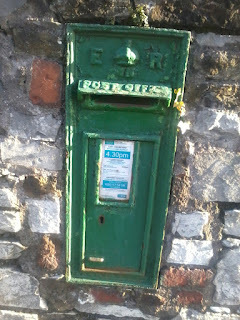 So rather than a "wall embedded" box, this is really a postbox with a house built on to the back of it. Here is a VR-era postbox on Anglesea St. in Cork. It's one of the oldest in the city, so much so that it was flagged as worthy of viewing on the annual Cork Heritage Open Day (see here).